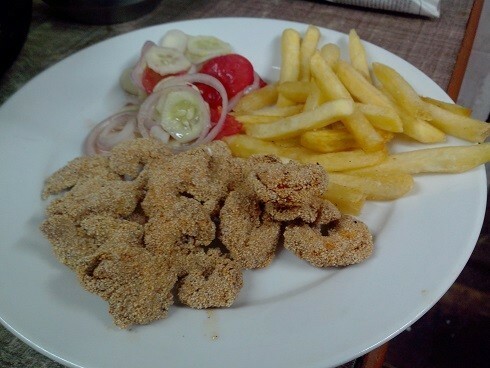 Crumbed Prawns, chips & salad in Mumbai is done the goan way. 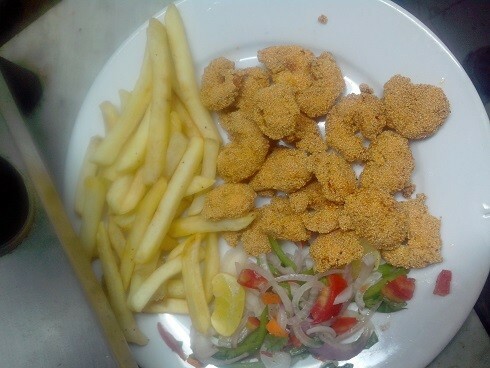 Fresh prawns are coated in a delicate recheado masala then crumbed in a mixture of breadcrumbs and rava to give it that extra crunchy bite. A traditional salad doused in coconut goan vinegar and fries finish off this wonderful tropical delight that transports you straight to the shacks on Anjuna.